[PDF] Constructivism and International Relations: Alexander Wendt and his Critics (New International Relations) | Free eBooks Download - EBOOKEE! 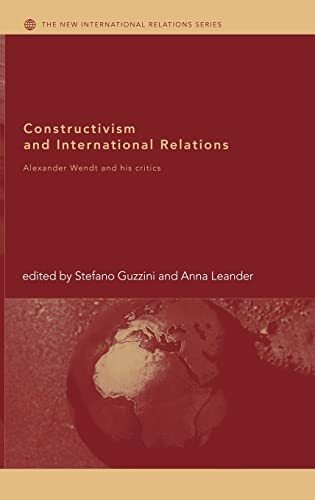 Description: This new book unites in one volume some of the most prominent critiques of Alexander Wendt's constructivist theory of international relations and includes the first comprehensive reply by Wendt. Partly reprints of benchmark articles, partly new original critiques, the critical chapters are informed by a wide array of contending theories ranging from realism to poststructuralism. The collected leading theorists critique Wendts seminal book Social Theory of International Politics and his subsequent revisions. They take issue with the full panoply of Wendts approach, such as his alleged positivism, his critique of the realist school, the conceptualism of identity, and his teleological theory of history. Wendts reply is not limited to rebuttal only. For the first time, he develops his recent idea of quantum social science, as well as its implications for theorising international relations. This unique volume will be a necessary companion to Wendts book for students and researchers seeking a better understanding of his work, and also offers one of the most up-to-date collections on constructivist theorizing. No comments for "[PDF] Constructivism and International Relations: Alexander Wendt and his Critics (New International Relations)".